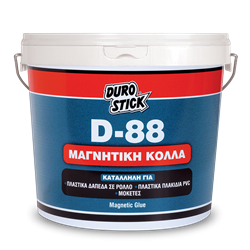 Ready to use, thixotropic and flexible adhesive. It features an extended open time, sufficient for large surface applications and it is resistant to moisture and temperature variations. Suitable for bonding soft or rigid vinyl tiles (VCT), PVC rolls, field turfs, linoleum and carpet on prefabricated or not concrete, cement screeds, mosaic, MDF flooring, marine grade plywood or wood, as well as primed or galvanized steel. It is ideal for applying expanded or extruded polystyrene insulation boards, polyurethane and cork boards on wall surfaces made of concrete, plaster, bricks, aircrete, on both indoor and outdoor surfaces. Classified D2F per EN 12004. 200-300gr/m², depending on the substrate and the application.